GuGo is a Web 3.0 take on the social platform where one can interact with friends or family in a fresh and private way. We are a dedicated, healthy, and energetic team who possess an entrepreneurial spirit and who have clear vision of how to make GuGo a viable and dominant force in the social networking and discount space. Each of our team members bring a unique perspective and skill set that will be essential for our success. Dr. Darren B. Nicholson is a tenured, Associate Professor of MIS at Rowan University. He received his Ph.D. and B.A. in Business Administration, with a specialization in Information Systems, from Washington State University. Darren currently teaches courses across the MIS and Entrepreneurship curriculum at both the Undergraduate and Graduate levels. 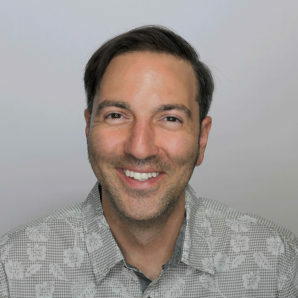 In 1998, Jason received his Bachelors of Science in Computer Information Systems Management with a minor in Business from Delaware Valley College in Doylestown, Pennsylvania. He also has several I.T. certifications including Website Management, Database Development, and several Microsoft certifications. Jason has spent the past 12 years honing his expertise in consulting, and leading teams in the technology space. Dan received his Bachelors of Science in Communications from the University of Miami, Florida. He majored in both Film Production and Fine Art, graduating in 1996. He then earned his Graduate Gemology Degree from the Gemological Institute of America (NYC), to gain an in-depth knowledge of diamonds and gems in order to help run his family's three generations old, three store jewelry operation, Jack Kellmer Company. Rebecca Emerson - Mitts Milavec LLC.